From now on the customer service is available 24/7 and support is ready to help at any time of a day or night! Time4VPS qualified team continues observing all data center's network to keep SLA 99.95%. 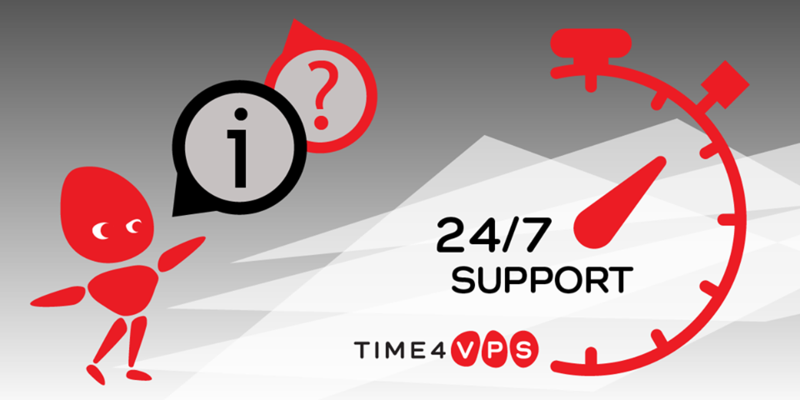 Customer support team joins the ranks to help Time4VPS clients in any questions regarding VPS hosting, billing and checkout information. Time4VPS provides services all over the world, and it is essential to ensure that all customers would be satisfied despite time or geographical zone. You can reach online 24/7 via chat, ticketing system, email [email protected] or contact form.